Arrangements are in top gear for the installation of the first Asiwaju of Ileogbo Kingdom. The palace of the Olu of Ileogbo, HRM Oba Habeeb Adetoyese Agbaje, Arowookunjoye II, will tomorrow, Friday 11th May , 2018 host notable dignitaries as one of the promoters of the ancient city, Chief Rapheal Nafiu be conferred with the honorary chieftaincy title of Asiwaju of Ileogbo. It was credibly gathered that Nafiu is one of the very few architects of modernization of Ileogbo. He played vital role in the educational, political, religious and social prosperity of the ancient city. The honour, according to a palace source was in appreciation of the sleepless commitment of Chief Nafiu to the improvement of the ancient town. Chief R.A Nafiu hails from Kanmo's compound, Ileogbo. He became the founding Principal, Okemagba High School, Epe in 1970 and served till 1974. He worked at Ilorin College for a year after leaving Epe. The dream of having secondary school in his own town was realized on September 1975 and served as founding principal of the school (Luther Kings College) from 1975 to 1988 when he voluntarily retired in December, 1988 after 35years of meritorious service. He was one of the major sponsors of the school. Chief R.A Nafiu has served as member of the Board of Governors of school like Baptist High School, Iwo, Iwo Grammar School, Communityt High School, Ileogbo, L.A Grammar School and College of Education, Ilesha. He was the Chairman of the Coronation Committee for the First crowned Olu of Ileogbo, Oba Ali Adeleye on December 9, 1995 and also served in the same position for the second crowned King, Oba Musa Akintomide. He has awarded scholarships to Ten University undergraduates of Medicine and Engineering in 1988 and also to the best students in all the Secondary Schools in Iwo, Ayedire and Ola-Oluwa Local Government in 1985. He built a block of two classrooms for Community High School, Ileogbo. He was appointed as High Chief by Oba Ali Adelayo as the Asoju Oba of Ileogbo in January, 1981. He had worked for various Political Parties such as Action Group of Nigeria, UPN and was later elected as the State Treasurer of the SDP of the then Oyo State. After formation of PDP in 1998, he was one of the P.D.P leaders for Iwo, Ayedire and Ola Oluwa local Government. He is one of the political leaders for Iwo, Ayedire and Ola Oluwa Local Governments. 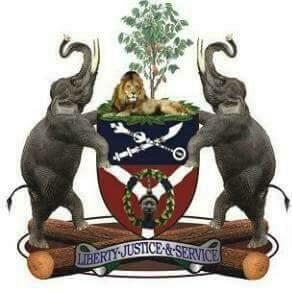 The Government of Osun State appointed him as the Chairman of Osun State Teaching Service Commission (TESCOM) from 2003 to 2007. He was appointed as a Nominee Director of Odua Investment Company on two occasions.